As your body is adapting to the ketogenic diet, you may experience headaches and fatigue. These symptoms typically occur due to the fact that carb restriction rapidly increases water and mineral excretion. If you are not consuming enough water, sodium, and potassium, you may become dehydrated as a result of following the ketogenic diet. The dehydration can then lead to symptoms like headaches and fatigue. In most cases, drinking more water and supplementing your diet with extra sodium and potassium will clear up these symptoms. For more specific recommendations on what you should do to reduce these and other keto flu symptoms, click here. It is also important to make sure you are eating enough calories. If you are in a large calorie deficit (>30%), then your metabolism will slow down significantly, and you’ll have much less energy and may even have headaches because of it. 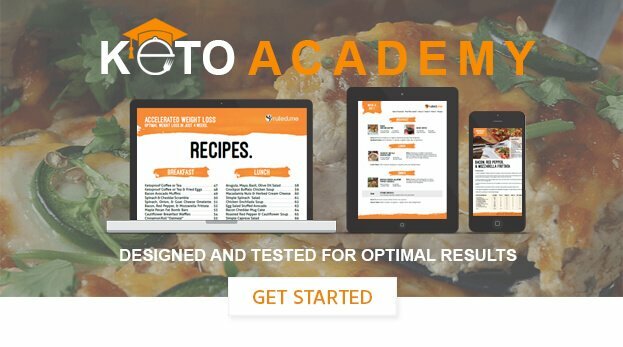 To make sure you are eating enough calories, use our keto calculator. By plugging your info into it, you will get a fairly accurate representation of how many calories you should be eating as well as how much fat, protein, and carbs you need to meet your goals without causing your energy levels to crash.